The other day I was scheming about Cubify with my good friend Mark Danks of My Robot Nation, a company recently acquired by 3D Systems. The robots you create at My Robot Nation are basically statues. 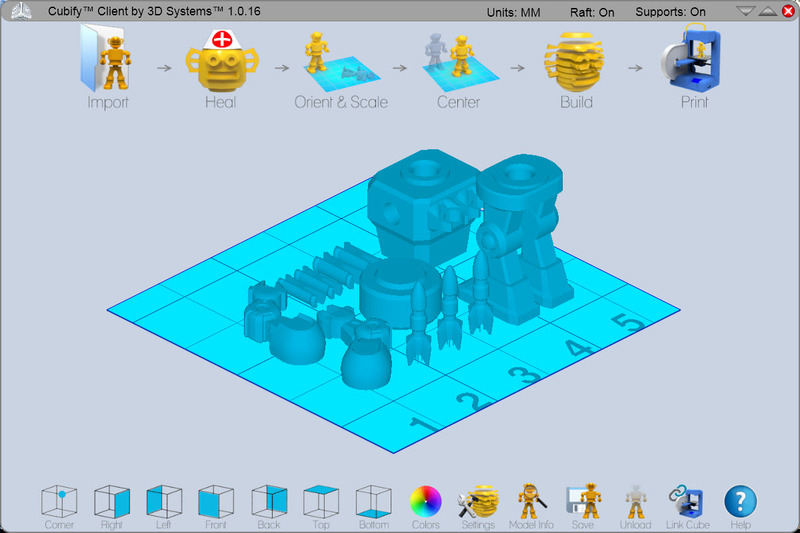 You can pose your robot after you create it in the browser. But once printed they come out as one piece. Mark has been working on something that lets people print Robots on the Cube that kids can actually play with by moving their body parts. I offered my Cube to help him test his stuff out. And this is what I ended up with. Here is a video showing how I assembled the robot.